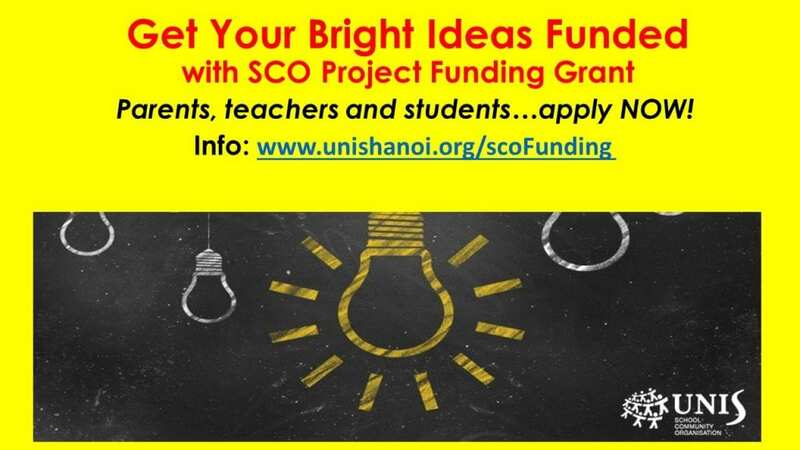 SCO Project Funding Committee Needs You! The School Community Organisation (SCO) is a parent volunteer organisation working to support the Mission and activities of UNIS Hanoi. Each year, the SCO raises funds in course of implementing activities, such as the Spring Fair and Healthy Snack Sales. Do you have an idea for a project? Would you like to be a member of the committee?